Young filmmakers with Nathan Goehring and Ben Gilbert. Portraits for the Deconstructing Patterns exhibition at the Francis Crick Institute, London. 2017. Richard Bright: Can we begin by you saying something about the background of your organisation? 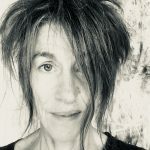 1A Arts – Chloe Plumb (Current Media Arts Coordinator): Holborn Community Association (HCA) is a community anchor organisation in Holborn consisting of Bedford House Community Centre, Millman Street Community Centre and 1A Arts. We provide free and low cost creative, recreational and educational activities to children, young people, adults and over 55’s. The organisation works to empower the whole community in Holborn, increasing resilience, social cohesion, building skills and fostering community spirit. RB: What is the focus of your work and what are its aims? Chloe Plumb (Current Media Arts Coordinator): The Digital Media Programme based at HCA’s 1A Arts Centre offers free creative activities for children and young people and offers an opportunity for participants to experiment with different forms of digital media and take ownership of their own creative projects. We run a weekly Media Arts Club, deliver holiday workshops in the community and run an annual Summer Film Project. Through hands-on participatory workshops, we aim to develop their creative, digital and technical skills, increase their confidence, raise their aspirations and build peer networks. RB: Can you say something about your work on the Deconstructing Pattern exhibition/project and what it involves? 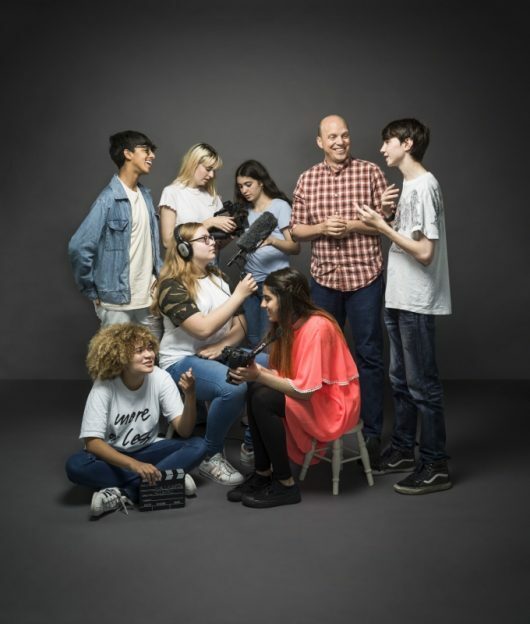 1A Arts – Lesley Pinder (Coordinator and facilitator on Summer Film Project): I coordinated the summer filmmaking project that brought together the young people from Holborn Community Association’s 1A Arts Centre and the Francis Crick Institute. I also co-facilitated the programme (alongside fellow professional filmmaker Linda Mason), supporting the young filmmakers as they developed their script and shot and edited their film. I also started the project with the young people looking at the patterns within the building as a photography exercise. We were then able to really explore the space we would be using during the filming. RB: What have you and your students learnt from working on this project and has it thrown up any surprises for you in regards to your previously held beliefs or intuitions? I learnt so much on this project, in particular that science doesn’t have to be intimidating. Many of the young people found the brief provided by the Crick daunting at first. But they embraced the challenge and I am very proud of the way they worked together to ensure that they fully understood the work going on in Nathan Goehring’s laboratory, and then turned that new-found knowledge into an incredibly imaginative creative response to the science. The surprise for me was that their response took a narrative form, one that really represented the ideas and themes being explored by the Crick’s scientists.